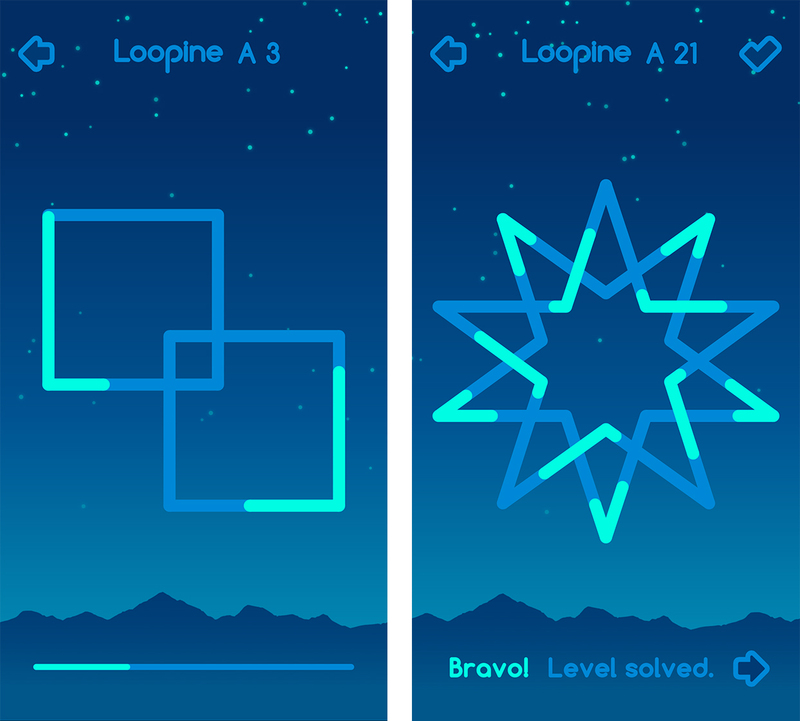 Loopine by developer Pyrosphere is a fun and unique mobile puzzle game. The premise of the game is simple — there are lines that form loops in a variety of shapes and patterns. Inside those loops are short glowing beams that travel along a set path. However these beams are out of sync and collide with each other as they travel along. Players have to manipulate the beams by holding the path they’re travelling. This pauses the movement along the path. It’s all about timing — release too soon or too late and the beams will still collide. A small bar at the bottom of the screen measures success or failure. When the beams don’t collide, it starts to fill up. When the bar fills up, the puzzle is solved. However, if any beams touch, the bar resets. Users can watch the beams moving in sync before moving to the next puzzle. The patterns made by the moving beams are quite mesmerizing to watch. It really makes solving a puzzle feel satisfying. At first things seem fairly easy and simple. However, over the game’s 150 levels, things get quite a bit harder. Patterns get more complex, loops move faster and the allowances get smaller. The number of beams and paths increase as well. For users looking for more challenge, the iOS version recently received a new ‘Hard mode.’ The Android version will likely get the update soon. Overall, the game makes for a very relaxing but challenging play-through. The music that plays in the background is quite nice and the mix of light and dark blues for the colour theme are easy on the eyes. 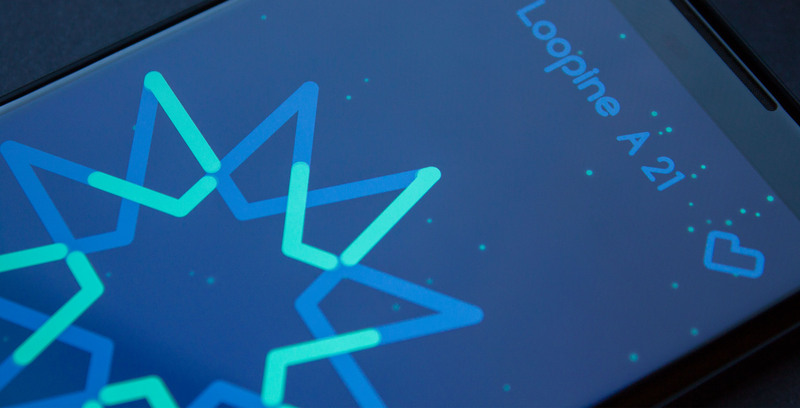 Loopine is available on iOS and Android. It’s free and ad-supported. However, you can pay $1.39 to remove ads if you want.